The game that faces Leeds on Saturday at Bolton’s Reebok Stadium is the kind of fixture guaranteed to bring out the inner pessimism at the core of the Leeds United fans’ collective psyche. Bolton Wanderers prop up the Championship table, winless and apparently hapless. Jermaine Beckford, a man with a permanent place in the affections of the Leeds support, has made only a handful of appearances in the league for his new club, failing to find the net and looking short on confidence as well as long on nerves. It’s the kind of opening to a season which puts Leeds’ own steady if unspectacular start into context – but are Bolton really that bad? And shouldn’t we maybe worry that the script is written here for Beckford to start endearing himself to a new set of fans? That’s the glass-half-empty view. Really though, this game should provide a brilliant opportunity for the Whites to build upon a respectable away record this season. The victory at Ipswich was a bit of a smash-and-grab raid, with the home side having dominated plenty of the game. The match at Leicester was a battle of attrition, and both sides appeared that evening more intent on not losing, than inspired by any urgent desire to secure all three points. It’s time that Leeds hit the road with the express ambition of bringing home a victory and motivated to put in an emphatic performance to deserve the win. Brian McDermott has spoken this week of the need for Leeds to express themselves a little more; to get on the ball and “do their stuff”. This sounds like the kind of mindset which could start to produce a few more positive results, though obviously the instruction to start taking a few risks needs to be interpreted judiciously – we can’t afford to start shipping goals. 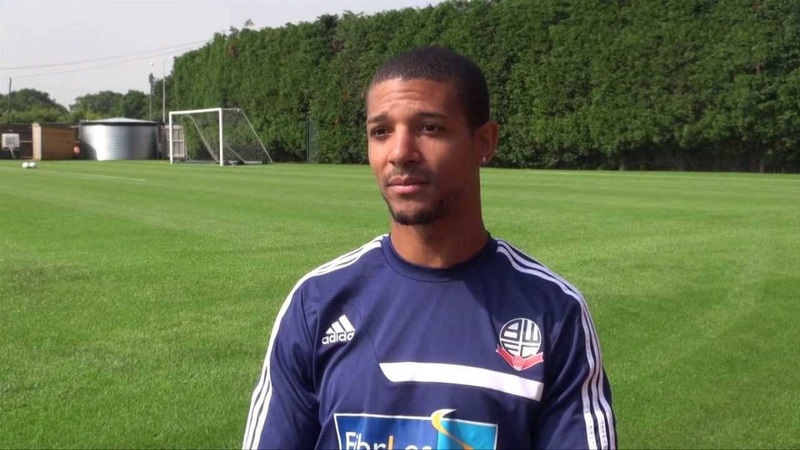 The prospect of facing Jermaine Beckford again is intriguing. He produced one less-than-committed performance against Leeds in Leicester colours, seeming more preoccupied by acknowledging the tributes from the Elland Road fans than by any genuine desire to score against us. Beckford has been a peripheral figure for his new club but – that Leicester performance apart – there is the feeling that he’s the kind of player who could find extra motivation against former employers. The lure of breaking his league duck for Bolton, giving them their first league victory in the process and easing the pressure on his manager, former Leeds loanee Dougie Freedman, might appeal to his striker’s sense of theatre. Fingers crossed that, if he does make an entrance, he’ll obligingly fluff his lines. The other figure in the Bolton ranks that will interest Leeds fans more than somewhat would be Matt Mills, linked with a sentimental return to the guidance of Brian McDermott for most of the recently-closed transfer window. If anything, he’s even more of a bit-part player for Bolton than Beckford has been, rolled out only in the direst emergency and it seems certain that his future still lies elsewhere. Leeds will not be too downhearted by the nature of their defeat last time out to likely champions QPR. Against a collection of players costing many times the value of the Leeds squad, they battled well and it would not have been a travesty had Rudy Austin’s late screamer earned them a point instead of careening off the crossbar. If the Whites can take encouragement from that game into the one at the Reebok, then a three-point haul from this game is distinctly possible, and they may well be worth a punt at realistic odds of 5-2. But still there is that hint of the banana skin about the match. McDermott’s exhortations towards more freedom of expression and a few more risks notwithstanding, Leeds will need to be careful and committed to avoid the embarrassment of falling victims to Bolton’s first win and Beckford’s first league goal. This entry was posted in Football, Leeds United, Sport and tagged Bolton Wanderers, Football, Jermaine Beckford, Leeds United, preview, soccer, The Championship. Bookmark the permalink. Let’s hope this boy and any leeds u on form player will suffers a horrific injury that will kept them out for the rest of the season, leeds are too good for the championship, so let’s hope they will get relegated again this season. Did someone forget to take their medication? You can’t even write a sentence in English … that makes sense you thick f**k.
Rob I have seen Bolton playing twice this season and I must admit a league table is not the best way to evaluate their strengths. Their attack has been abysmal and JB the culprit of it. JB has been wandering in the valley of shadows for some time and it is hard to find a form when you are not in “it”. They have good MF in names Medo, Lee and Hall passing with some flair and they are dangerous if they are given any space to express themselves. But as I have said many times the Whites are very hard ensemble to win this season even away so I expect 0-1 away win or 1-1 draw at least. I hope that EHD will be given chance because we need something special in the final third. I hope that EHD is given away..and Mowatt comes in. What a c**k, 100% not a true Leeds fan!